GLASGOW STYLE Antique Vintage Arts and Crafts Alexander Ritchie Iona Brass Wall Mirror, c. 1900 100cm wide A fine & rare example of a large antique/vintage arts & crafts hand hammered brass rectangular wall mirror showing highly stylised Glasgow plant forms and Celtic revival entrelac knot work in segmented panels by Alexander Ritchie of Iona c1900. 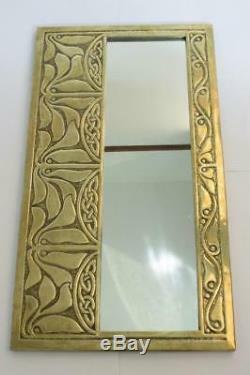 For an example of this mirror see'Iona Celtic Art, the work of Alexander and Euphemia Ritchie' by E. Mairi MacArthur, page 27, plate 3a, 3b and 3c. 1900 Size: 100cm (39.4 in) wide x 56cm (21.8 in) high. Condition: In excellent condition, the mirror retains its original mercury glass inset into oak. Thank you for your interest. Add me to your Favourite Sellers. 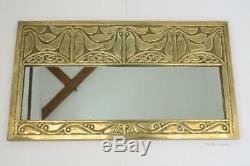 GLASGOW STYLE Antique Arts and Crafts Alexander Ritchie Iona Brass Wall Mirror. 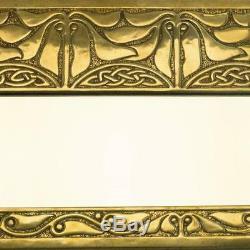 Alexander Ritchie Iona Brass Antique Art Nouveau/Arts and Crafts Glasgow Style Wall Mirror c. Antique Art Nouveau/Arts and Crafts. A fine & rare example of a large antique art nouveau/arts & crafts Glasgow style hand hammered brass rectangular wall mirror. By Alexander Ritchie of Iona c1900. Highly stylised Glasgow plant forms and Celtic revival entrelac knot work in segmented panels, the mercury glass mirror itself is in excellent condition & is inset into oak. 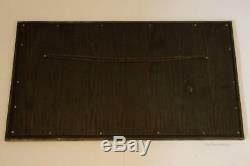 100cm (39.4 in) wide x 56cm (21.8 in) high. View My Other Items For Sale. Please see my other 20th Century original lighting, furniture, ceramics, metalware & glass from the Aesthetic, Arts and Crafts, Art Nouveau & Art Deco periods by clicking. Larger items , including furniture, may be delivered by one of our approved couriers. With over 35 years experience in 20th Century Decorative Arts & Design, w. E specialise in quality design led original lighting, furniture, metalware, ceramics & glass by the leading designers of the Aesthetic, Arts and Crafts, Art Nouveau & Art Deco periods. Our carefully researched collections include exceptional and difficult to find original works by internationally renowned architects, designers, firms and schools. We regularly supply to private collectors, dealers, institutions, private clients, art advisors and interior designers for design & investment purposes at home & overseas. You can find our business details under. You can contact Mel t. Get Supersized Images & Free Image Hosting. Create your brand with Auctiva's. Attention Sellers - Get Templates Image Hosting, Scheduling at Auctiva. 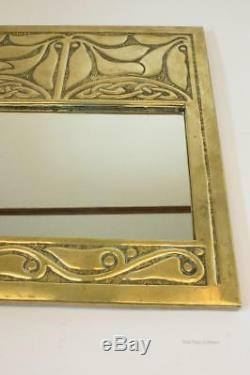 The item "Art Nouveau/Arts and Crafts Antique Alexander Ritchie Iona Brass Wall Mirror" is in sale since Friday, April 06, 2018. This item is in the category "Antiques\Periods/Styles\Art Nouveau". The seller is "thetwoarthurs" and is located in Manchester. This item can be shipped to United Kingdom, Austria, Belgium, Bulgaria, Croatia, Cyprus, Czech republic, Denmark, Estonia, Finland, France, Germany, Greece, Hungary, Ireland, Italy, Latvia, Lithuania, Luxembourg, Malta, Netherlands, Poland, Portugal, Romania, Slovakia, Slovenia, Spain, Sweden, Australia, Brazil, Japan, New Zealand, China, Israel, Hong Kong, Norway, Indonesia, Mexico, Singapore, South Korea, Switzerland, Thailand, Saudi arabia, South africa, United arab emirates, Ukraine.